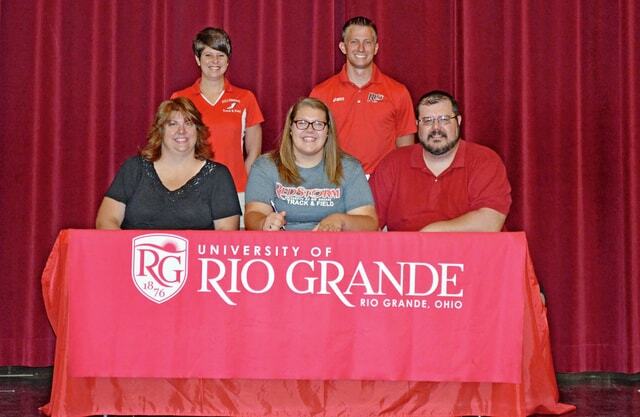 Hillsboro High School graduate Alyssa Sullivan signed with the University of Rio Grande to do track and field in the fall. She plans on majoring in elementary education with a minor in Spanish. Pictured, standing: Hillsboro girls track coach Sarah Horsley, and Rio Grande coach Steve Gruenberg. Seated: Mother Tracy Sullivan, Alyssa Sullivan, and father Patrick Sullivan.